There will be a fan friendly combination of youth and experience at the Yorkshire Tea20 Charity Challenge this September – with both Sam Curran and Adam Hollioake confirmed to play for Surrey. 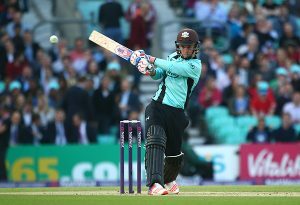 The pair join the recently announced Jason Roy and Kevin Pietersen in what is already looking like a pretty serious Surrey team, under the management of club legend Mark Butcher. They will take on a Cricket United XI managed by Michael Vaughan, who are currently keeping their selection cards close to their chest but will doubtless pack a serious cricketing punch. Curran, 18, completed his A-Levels earlier this year and is playing for Surrey all three forms of the game as well completing his debut outing for the England Lions. Hollioake is the most successful captain in modern Surrey history – bringing eight trophies to the club between 1997 and 2003 – and still an active cricketer, regularly playing for the Surrey Masters, PCA Masters and Lashings amongst others. The game is being played to raise funds for Cricket United, a three way link up between Chance to Shine, the Lord’s Taverners and the PCA Benevolent Fund – and sponsored by Yorkshire Tea. Cricket United is a simple idea. Three charities, one aim: to change lives through cricket. Lord’s Taverners, Chance to Shine and PCA Benevolent Fund are already joining forces on Saturday 13th August, Cricket United Day, to raise funds and awareness during the final Investec Test held at the Kia Oval and the campaign will now extend to the Charity Cricket Challenge on September 22nd. Funds raised for the joint appeal are then split evenly between the charities and used to change the lives of a range of cricket beneficiaries; from children starting out in the game to professional players retiring from it. As well as aiming to raise money for good causes, the game will once again act as an end of season party for the Kia Oval, which is expecting to welcome nearly 300,000 cricket fans throughout 2016 to a combination of sold out NatWest T20 Blast matches, the Final Test against Pakistan and last month’s sold out Royal London One Day International between England and Sri Lanka. Urlings CC are thriving in Antigua!